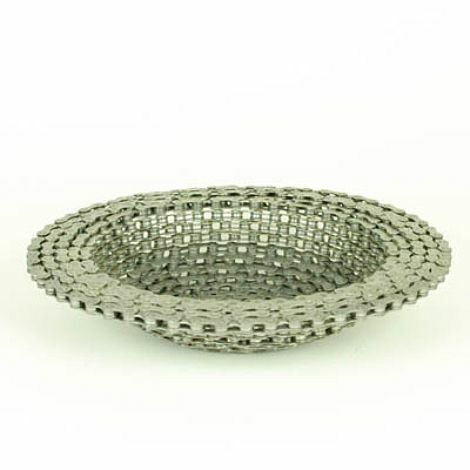 i like the looks and the history of this repurposed bike chain bowl from graham bergh for his resource revival company. purchase the bowl and other wonderful things at his mixtgoods shop, and find out more about graham on his website. 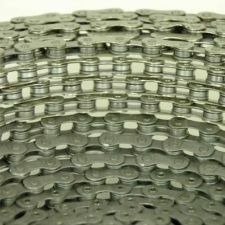 oh man, i have always thought bicycle chains were beautiful. it is so good to see them made into something useful and lovely! i love the shape of this bowl. he makes some other cool stuff too, if you have time to check out his website. 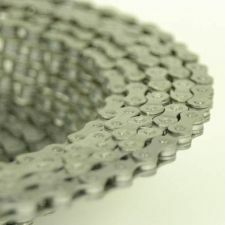 I’ve seen bicycle chain bracelets before. My uncle had one made out of the chain from the bike he rode while competing in the IronMan. But a bike chain bowl is something I haven’t seen before. I love it! oh! that is a cool story about your uncle. man, I want one of these! i have got to buzz over to your blog this week and see what you are up to… thanks for the visit!